After gullible people click that Configure button they are suggested to input their personal details and Sign up. Immediately, this information is collected by the people behind a malicious program. Collected data often be anything from names, emails to credit and banking credentials. Entering this information can automatically make users subscribe to services which use their credit information to make payments that you do not know about. The main goal for this program is creating a revenue for third-party advertisers. Every click on the pop-up ad from the user generates pay. Also, when a user clicks on advertisement another might pop up or redirects to other dubious sites can appear. Often these adware programs create a message with suggestions to purchase tools or programs. If you download something from those sites you can get additional programs which create more system problems. These PUPs can collect and supervise information without your permission. It is known that ad-supported programs typically track information regarding your preferences for sales, deals and similar information, but this program can do more things. access your preferences on movies, games, and music. 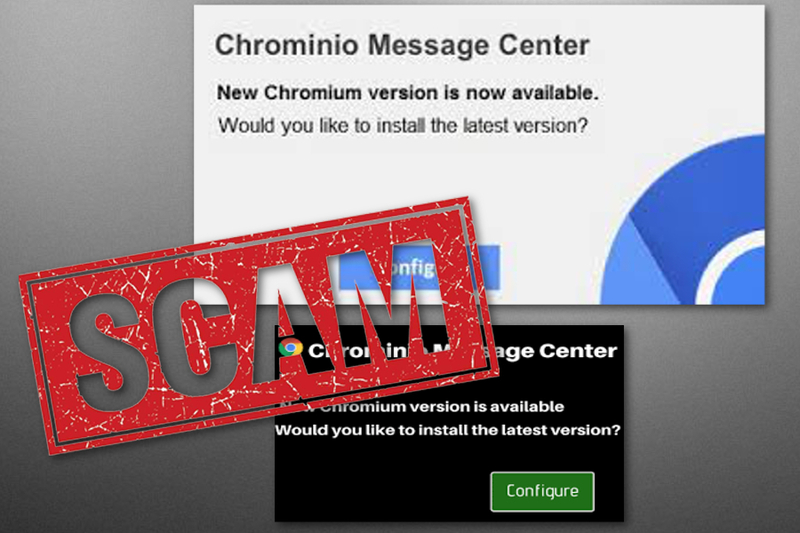 Chrominio Message Center virus as other PUPs come to your system in bundles during your software installations. That means you need to pay enough attention and never rush any installation. Be aware that via these you can get more harmful viruses. Chose Advanced options and select what you want and what you don’t want to get from the list. Relying on certified software provider might also be helpful in avoiding these infections. Also, it is vital to keep good anti-spyware tools on your system and running. You should know more about cybersecurity to be fully aware and prepared.